Breakdance, hip-hop and street culture, form the backbone of Kristin Doeblin’s aesthetic. 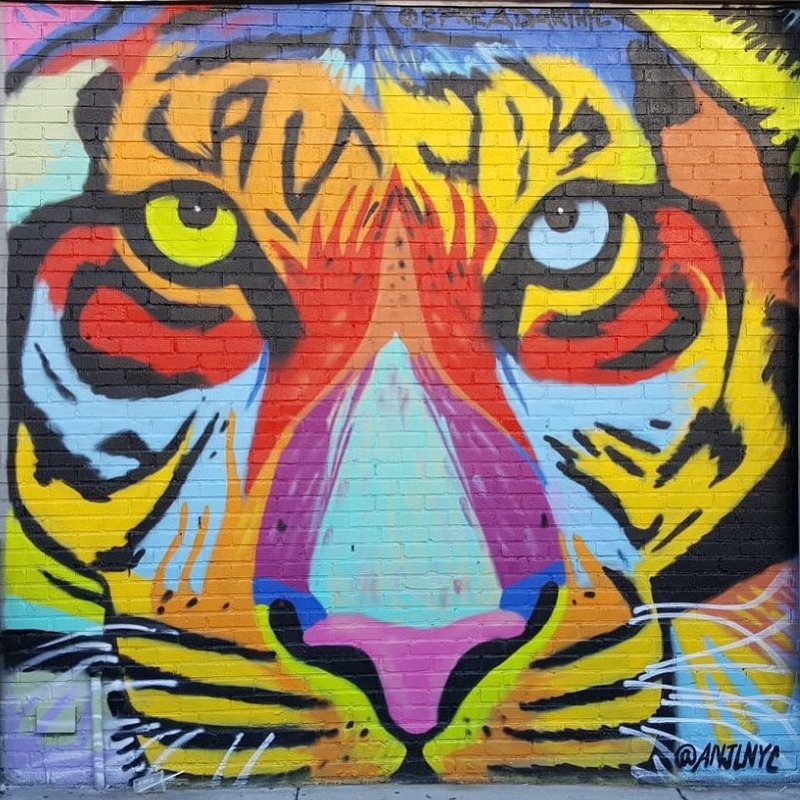 Huge neon tigers, mermaids spanning half a city block; if you’ve ever walked past vibrant murals of jungle cats, elephants, or warrior women blanketing Bushwick and other parts of the city, you’ve likely seen the work of one Kristin Doeblin, known by her artist name ANJL. ANJL in her art studio. Photo by Rachel Baron. The name was the artist’s college nickname and serves as a tag for many of her murals, though the letters frequently stand on their own, taking up an entire building wall. 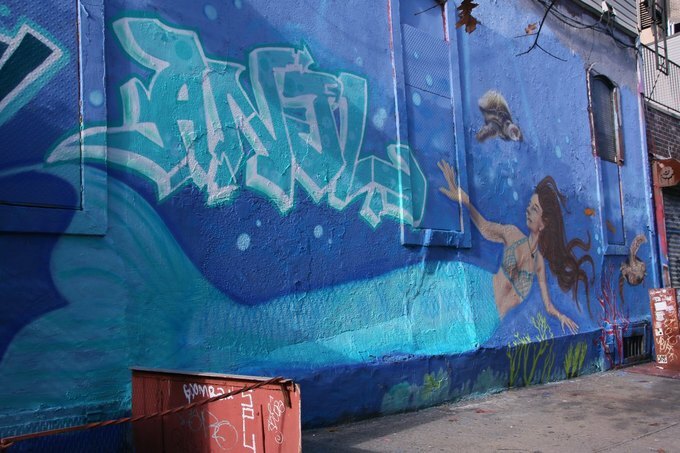 Doeblin was recently featured in a New York Times article about her graffiti workshop with actress Danielle MacDonald, but she’s been an integral member of the Brooklyn arts community for over a decade. A graffiti artist and muralist from Wichita, Kansas, Doeblin has done B-girl (breakdance girls) battles almost her entire life. Back in the U.S., the artist recalls traveling from her college town of Lawrence to Kansas City to throw down in B-girl battles. She became immersed in a group of female artists and found herself in the company of B-girls (breakdance girls), while studying abroad in Hong Kong. Breakdance, along with hip-hop and street culture, forms the backbone of Doeblin’s aesthetic. Though she’s not as involved with B-girling these days, she’s obsessed with Brazilian jiu jitsu, and very often trains with men. Her healthy love of fighting, coupled with a thirst for expression, strongly informs Doeblin’s art form. A number of her paintings feature strong women, like the main character Yu Shu Lien from “Crouching Tiger, Hidden Dragon”; many others depict fierce wild animals, like lions and tigers. The idea of a graffiti artist moving over to canvas is nothing new—artists like Banksy, Jean-Michel Basquiat, and Keith Haring started out painting walls across New York City, and are now widely celebrated for their body of work. However, the idea of a female graffiti artist hasn’t yet reached the mainstream. In a genre of art like graffiti, which is already stigmatized due to its affiliation with gang culture and delinquency, women encounter a twofold challenge. 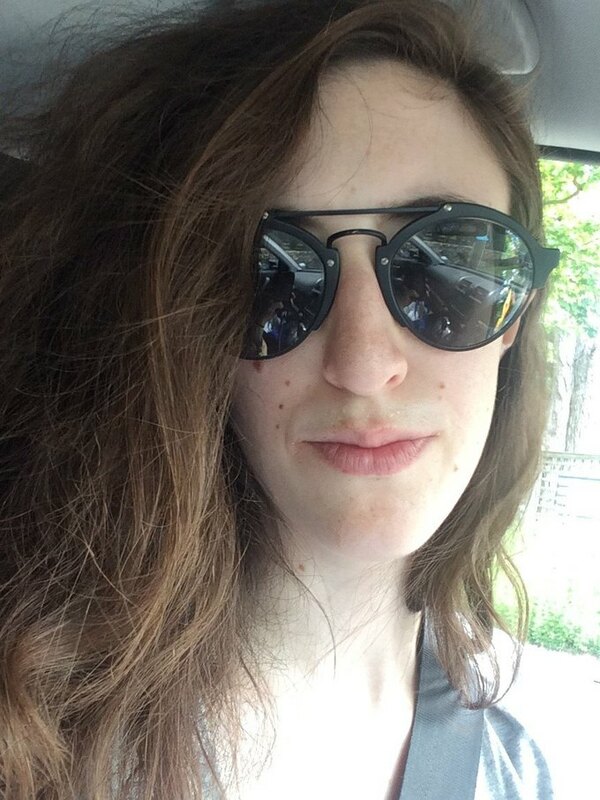 Doeblin said that female graffiti artists “don’t have the same amount of promotion as, I guess, your typical male counterparts.” In addition, when it comes to creating murals and graffiti as a woman, “people might expect that you’ll do certain work and things like that for free.” She often feels that people don’t validate her as an artist. 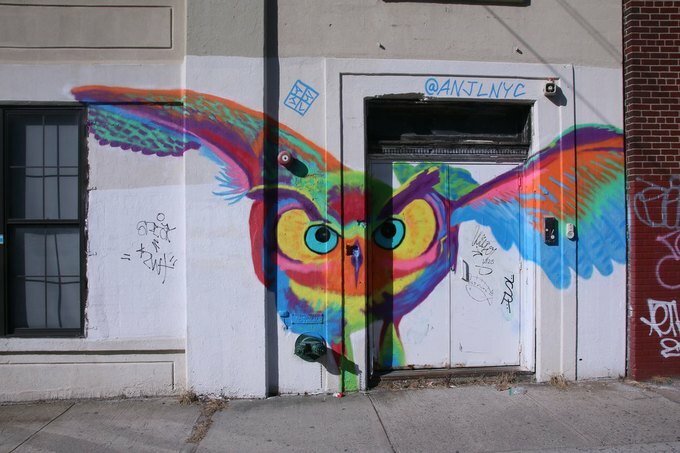 However, she’s noticed a major uptick in the number of female graffiti artists in recent years. 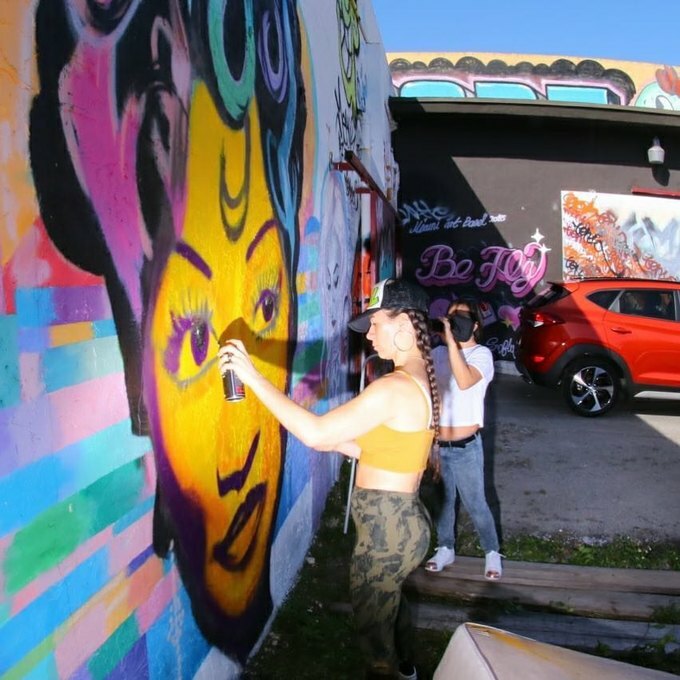 “It’s great to have some strong female representation and support from women that have been doing it for so long, especially in graffiti,” she remarked. Luckily, Doeblin found a new artist haven in Bushwick when she moved to the neighborhood in 2006. “I think the general consensus is that the community is really thriving at an overwhelming rate” she said. “But it’s great because I think that there’s so much art and artists and appreciation for art, which I didn’t see in other neighborhoods as much before.” Doeblin shares a small studio overlooking the J Train tracks with Italian artist Luca de Gaetano, whom she met at a show by Bushwick Open Studios, a festival celebrating Bushwick artists. Doeblin’s work has picked up some serious press recently. In addition to her many “live paintings” in which viewers can watch Doeblins’s process of mural-painting, her smaller canvas paintings have been shown in galleries around the country, from California to Maine. 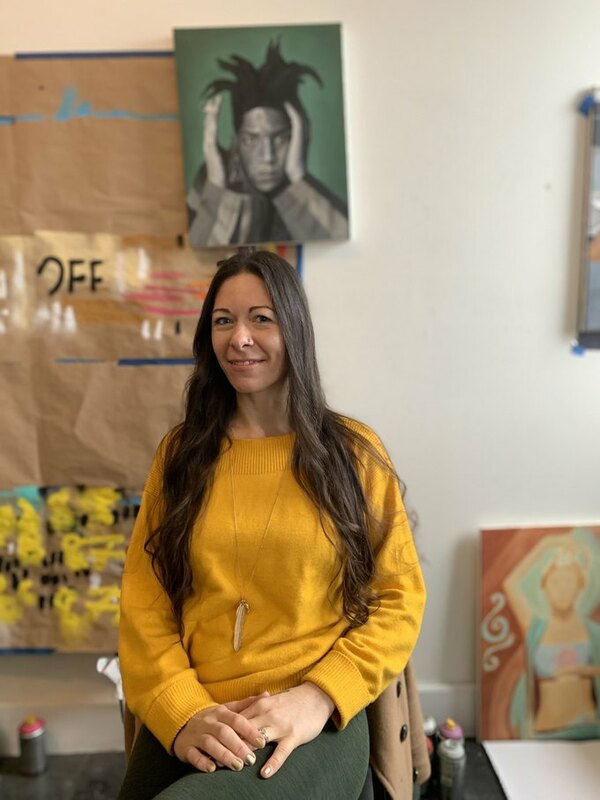 Her work was featured in a show last year by local Bushwick bar The Sampler in honor of International Woman’s Day, and several of her pieces were featured again at the bar this past Saturday in a show highlighting work by local graffiti artists. She’s become so well-recognized that she’s been called up by companies like Brooklyn Unplugged Tours to conduct public and private graffiti workshops for clients. Find Doeblin, along with photos of her murals and portraits, on Instagram. You can also learn about her upcoming events, including gallery showings and live paintings, on her website. Cover image courtesy of ANJL.